Mahindra Marazzo with an AMT gearbox in offing? 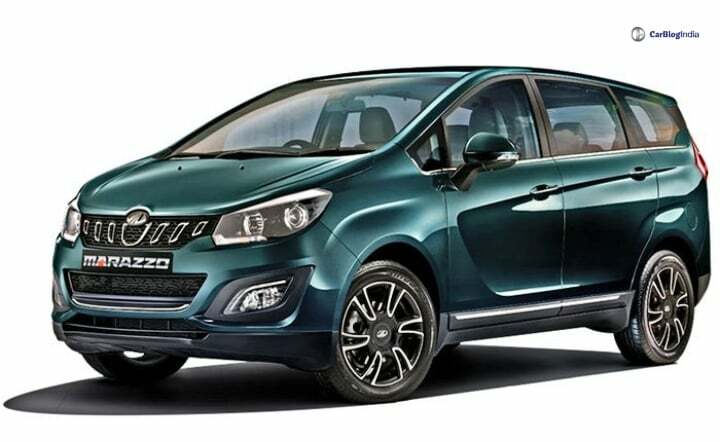 The Mahindra Marazzo is currently available with a 6-speed manual transmission paired to its 1.5-litre diesel engine as standard across the range. The Mahindra Marazzo MPV will soon add an automatic transmission option to its kitty. However, contrary to our expectations, this two-pedal technology might not be a torque converter unit but an AMT. Launched in India last year, the Marazzo currently retails with just a 6-speed manual transmission in its portfolio. This gearbox is paired to its 1.5-litre, 4-cylinder BS-IV spec diesel engine. At the time of its launch, Mahindra has confirmed that it will introduce an automatic gearbox and along with it a BSVI spec petrol and diesel engine line-up for the Marazzo. Since the launch of the same is still almost a year away, the homegrown automaker will try to fill the gap by temporarily introducing an AMT gearbox instead of a proper torque converter unit for the MPV. The AMT will then be replaced eventually when the Mahindra Marazzo’s engines go BS-VI spec with a proper torque converter unit. The introduction of an AMT gearbox will help Mahindra pitch the Marazzo in direct competition with its main competitor, the Maruti Suzuki Ertiga. That said, the later offers a torque converter unit but only with its petrol derivative. The Mahindra Marazzo is currently amongst a handfull of MPVs that currently exist in the Indian market and are actually raking up decent sale figures. The Mahindra Marazzo falls in-between the price tag of INR 9.99 lakh to INR 14.37 lakh (ex-showroom). With this, it falls perfectly in-between the Maruti Ertiga and the Toyota Innova in terms of pricing as well as space and onboard features. Mahindra is soon going to introduce an all-new offering in the sub-4-meter segment in India. Called as the XUV300, the same will pitch against the likes of Maruti Suzuki Vitara Brezza, Ford EcoSport and the Tata Nexon.